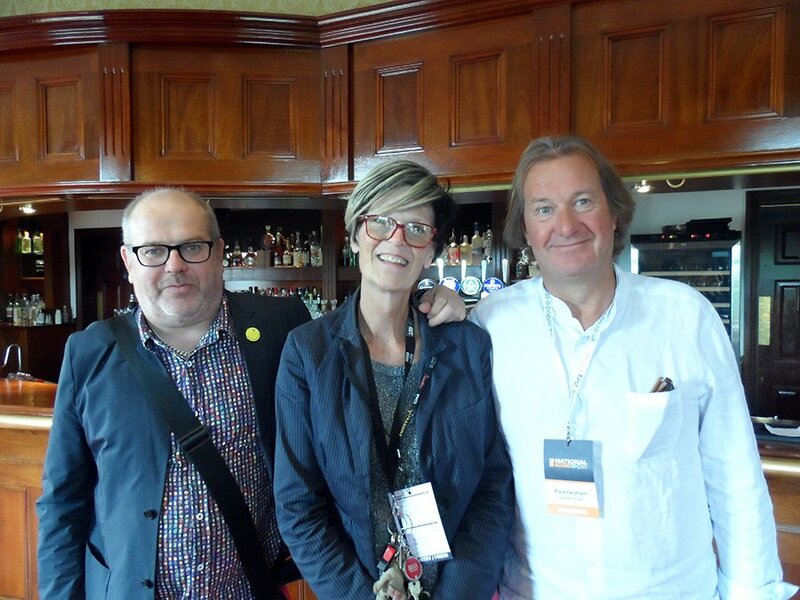 Ian Ringstead visits the Stylus Show in Manchester. It was a grey, wet morning when I travelled over to Manchester to attend the second year of the new show on the Hifi calendar, The Stylus Show. Last year it was in London, but the organisers decided to try it up North this time as Manchester’s previous popular shows had now been shelved and it was probably felt that the city was a good place to exhibit. As a Northerner this makes my life a lot easier and there are plenty of retailers and enthusiasts up here to support such a show. I attended on the Sunday and although the show wasn’t heaving with people like Bristol had been a few weeks before, the atmosphere was one of a calm and relaxed venue. The Macdonald Hotel was new to me but was a pleasant setting and all the exhibitors were on the first floor in rooms of varying sizes. 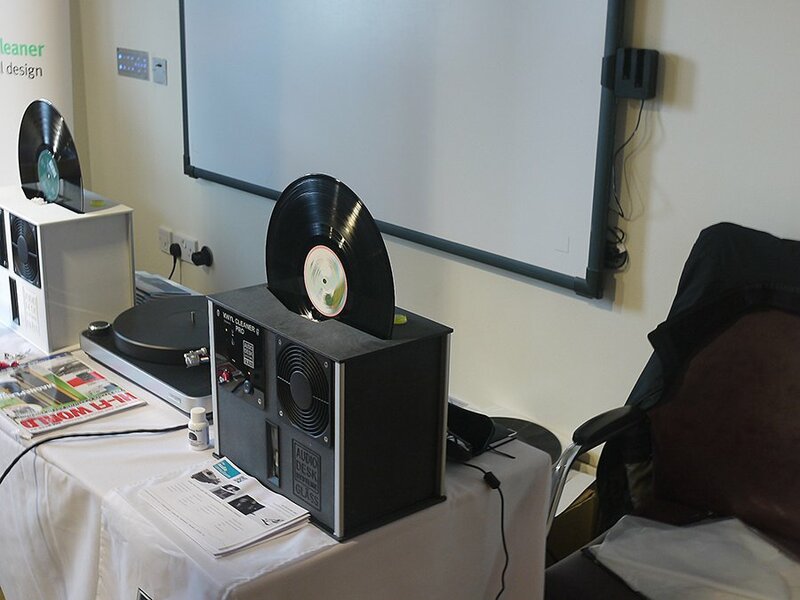 There were 25 exhibitors showing a wide variety of items and brands ranging from used and new vinyl, turntables of many varieties and prices, state of the art cleaning machines, jukeboxes and the many related items associated with record use and care. There were also workshops on the Saturday re; room acoustics and treatments and how to listen without prejudice to music and a system. The Sunday saw the popular classic album listening sessions with Mr Drayton, playing Sgt Pepper’s Lonely Hearts Club Band by the Beatles, Back to Black by Amy Winehouse and Dark Side of the Moon by Pink Floyd. 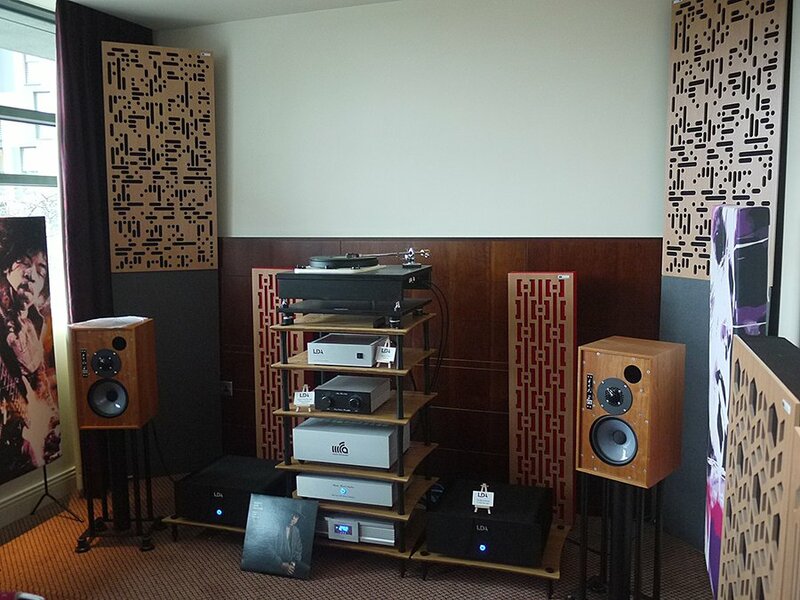 My first port of call was a room with various accessories and the excellent looking ViVac RCS2 by Pristine Vinyl. Jason Walker the director and owner talked me through the design and demonstrated the unit’s efficacy at cleaning records quickly and easily without any fuss or loud noises from the suction system. 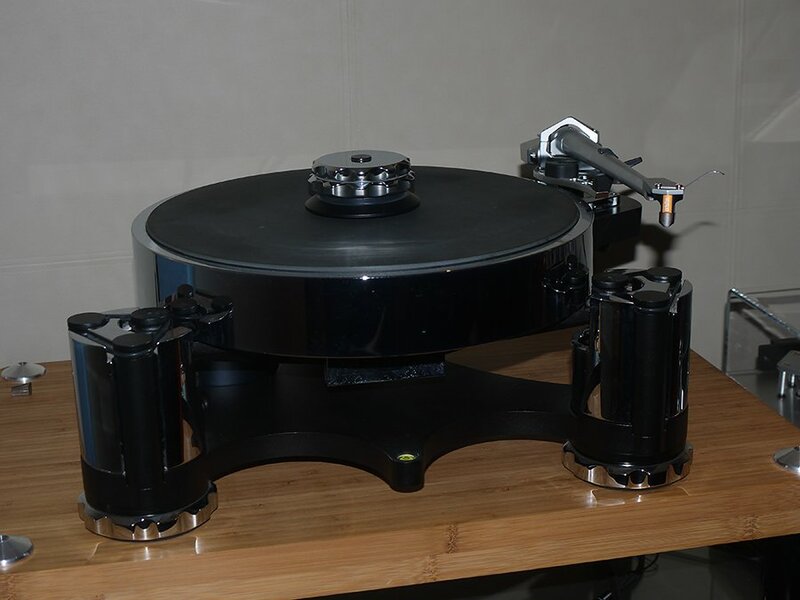 Retailing at £1900 it’s not cheap but compares favourably with the competition and looks more like a traditional turntable you can leave on show rather than hide it away in a cupboard when not in use. Also in the same room was the Audio Desk Systeme ultrasonic record cleaner which I have seen several times at various shows. It looks great, but at £3000 plus, it’s for the serious enthusiast. Nearby was the company I remember starting the serious record cleaning machine business many years ago. This was Keith Monks of course. I talked at length to Keith’s son who now runs the company and he showed me an exciting new cheaper machine he had help design for a start up company who wanted to sell direct on the internet a serious machine that was sub £1000. To cut costs many of the parts are sourced in China and it is louder than the dearer Keith Monks designs, but still more than tolerable. The vinyl revival has really fired the imagination of new and old companies in the last year or so. Opposite Keith Monks was an exciting new record enthusiast’s magazine called Long Live Vinyl. Basically it a high quality publication measuring 12 x12 inches (30cm square for the younger metric folks) like a record sleeve which features articles and reviews on anything record related. The first issue has an incredible line up of features including a run down of the top 40 most valuable vinyl, our in-depth collecting guide to David Bowie, and a feature on Stephen Shipperlee, a supreme Prince super-fan. Plus, you’ll find reviews of the latest vinyl music releases, a look at fantastical Prog artwork, and all the best turntables and accessories. As a show deal you could purchase a 6 month subscription for just £20 which also included a free Vinyl Art picture frame worth £40. A spectacular deal and I took no persuasion in signing up. The magazines sell for £9.99 from newsagents normally a month. One large room that brought some real nostalgia back was Sound Leisure Jukeboxes of Leeds. 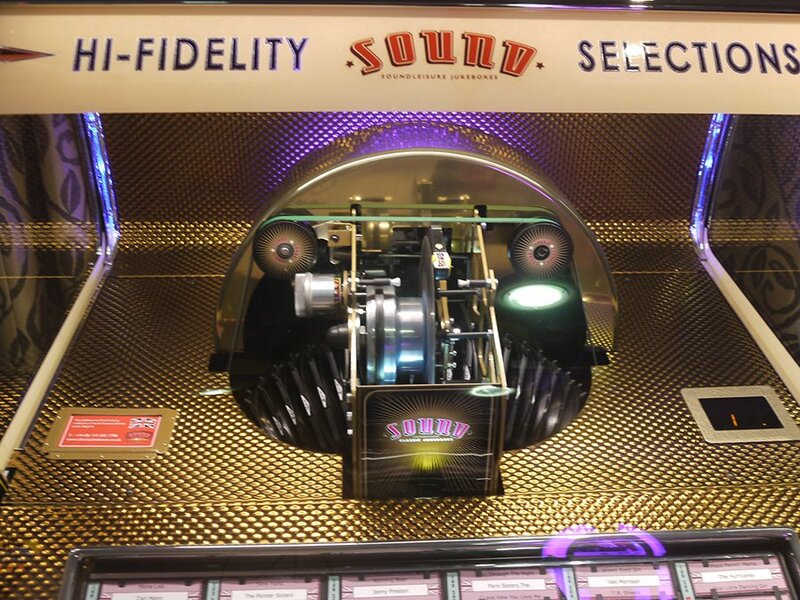 They have been manufacturing traditional jukeboxes for over 35 years and make a large range of traditional models but brought up to modern standards with current components and innovative design that will play 7″ singles , cd’s, or digital sources all controlled by a remote. Prices range from £5795 to £8000. Machines can be custom ordered to your own preferences so they are truly one off’s. I was fascinated by the mechanisms and how these machines work. You can even have a factory tour to see the craftsmanship that goes into these machines. 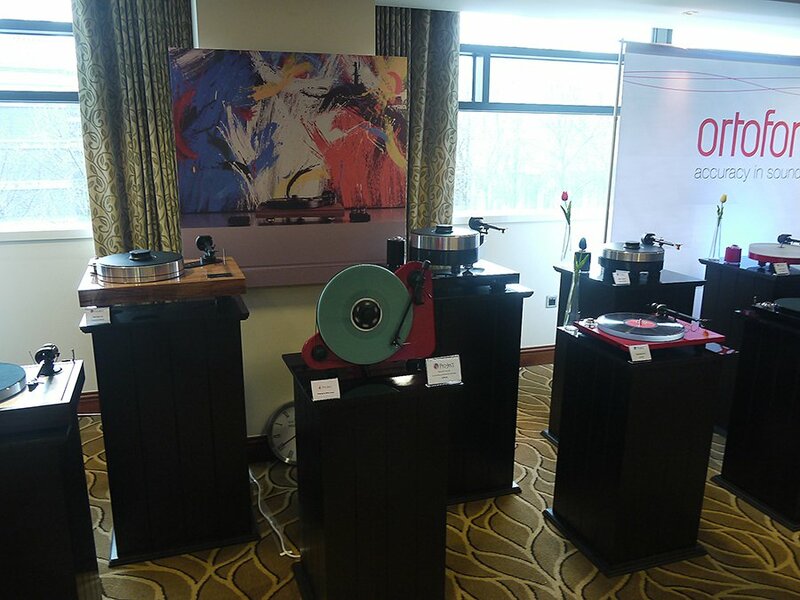 Henley Audio was in full strength as you’d expect with their full range of Project turntables all looking fabulous in their various high quality finishes. In one of their demo rooms Henley were demoing the new soon to be released Project Classic super edition model. This is a tweaked Classic deck with improvements in damping, an improved motor speed control as fitted on the dearer models, a leather mat, and record clamp and a better Ortofon cartridge the Quintet Red moving coil. Price will be £1400 probably making a saving of a £100 on the various add ons/upgrades. 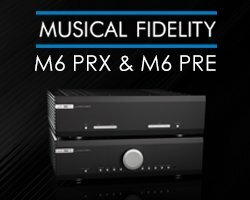 It sounded great and was playing through the rather tasty looking new Box design range of pre, power amp and valve phono stage which all had wooden end cheeks. They don’t take up loads of space either. Hopefully I might get a chance to try these out when they are released soon. Along the corridor a company new to me was Audiofiles who were enthusiastically demonstrating their new highly modified Audio Technica AT- LP5 IPT which has a new arm on it from Audio Origami the AO202 and an AT 95E cartridge as standard for £695. I was most impressed by this new deck and will be reviewing one soon. The room also had in it a blast from the past by way of a beautiful pair of Yamaha NS-1000 speakers which had been modified to be active with three on board class D Hypex amp modules. I remember these speakers well from the 1980’s and always lusted after a pair. Lastly on demonstration was the full range of Audio Technica’s new VM moving magnet cartridges. These all have a common body but can be upgraded simply by changing the stylus assembly for an improved stylus profile. They start with the conical bonded VM510CB at £99 and end up with the super line contact VM670SLC at £639. A very interesting and informative demonstration was done by the staff of The Audio Files by simply changing the stylus assemblies on the same cartridge body and turntable to show the differences the stylus shape and cantilever material made to the sound and performance through the same system. It was easily noticeable to hear the differences and improvements as they went up the price scale. Needless to say the SLC stylus sounded the best and would be my choice. A few dealers were there and one in particular Fanthorpes of Hull had obviously spent a lot of time and effort in setting their room up. On dem was a pair of PMC Fact 12 floor standers with Bryston electronics and an Avid turntable and phono stage playing the currently popular Rag and Bone Man album Human. A nice set up for £40000 roughly. Also on show were other Avid turntables and a Luxman PD 171 AL turntable. I was greeted warmly by the staff who I chatted to for a while. The room was generously treated with GIK acoustic panels to great effect. Inspire Hifi were also showing off their large range of turntables with the Monarch direct drive and a 12″ SME 309 arm through a Unison Research Unico 150 integrated amp and speakers. Robert Isherwood does a very large range of turntables and modifications so if you fancy a trip to Chesterfield he’ll welcome you to see and hear his range. Longdog Audio had for me the best sounding room at the show. Their room again like Fanthorpes was generously festooned with GIK panels of Bradford and I am sure these helped no end to control the issues of a smallish hotel room. Source was a Garrard 301 with a rather magnificent SME 3009 12″ arm and unknown cartridge through a Music First Audio reference pre amp and LDA P6 mono blocks and a pair of Graham Audio LS5/9A speakers. The album being played was The Mighty Sam Maclain’s Give it up for love. It sounded superb and so real. Well done Longdog Audio. Outside the room I met and spoke at length with David Shevyn of GIK about the show and his designs. I recently contacted GIK about the possibility of having my own living room treated so watch this space. Stuart and Linette use them in their home system to great effect. David Brook of MCRU was selling his wide range of quality mains products and playing the rather good Larsen 8 speakers which have impressed me before at other shows. 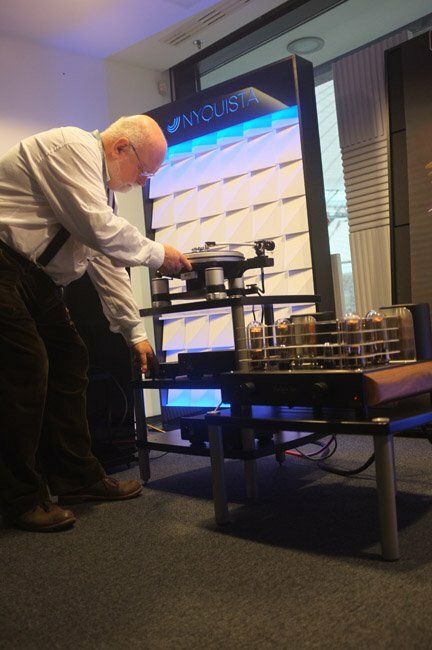 Planalogue were demoing the Prelude turntable through Astin Trew electronics and the Pearl Acoustics Sibelius SG speakers. Hana cartridges were also on show which I have reviewed so favourably and offer fantastic value. 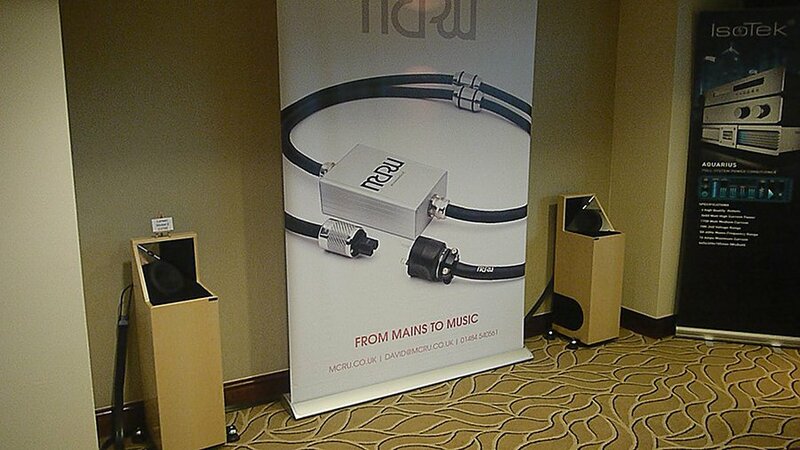 The Audiocounsel had a range of Audio Note equipment on show and being demonstrated exceedingly well. 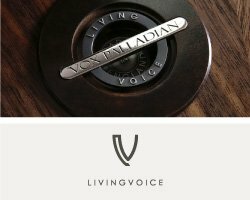 Audio Note take a lot of care over designing their products and have a unique approach preferring to make their products sound as natural as possible and lifelike as opposed to a hifi sound made to impress. Tonality is the key issue Audio Note work on and I have to agree with their ethos. I was allowed to hear an Audio Note recording they commissioned in the USA of a cellist and it sounded superb on the system which consisted of an Oto integrated amp, TT2 deluxe turntable with twin motors and AN -E speakers. I’ve never really heard a full Audio Note system properly before at a show as the rooms have always been full or not playing my kind of music. My interest has now been piqued and I would like to hear more. 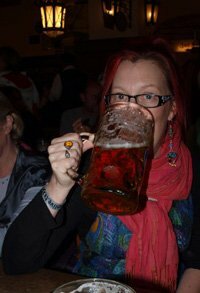 Stylus 2017 may not have been a big show or very busy compared to others I have recently attended, but for a new show only in its second year I reckon it was well worth the journey. My friend Chris also enjoyed the event, and as a pro audio speaker designer he isn’t easily impressed. I look forward to next years show and hopefully more manufacturers and dealers will exhibit there. Vinyl is here to stay.